Borussia Dortmund may have endured a disappointing start to 2018, but in Shinji Kagawa there is a silver lining to be found. 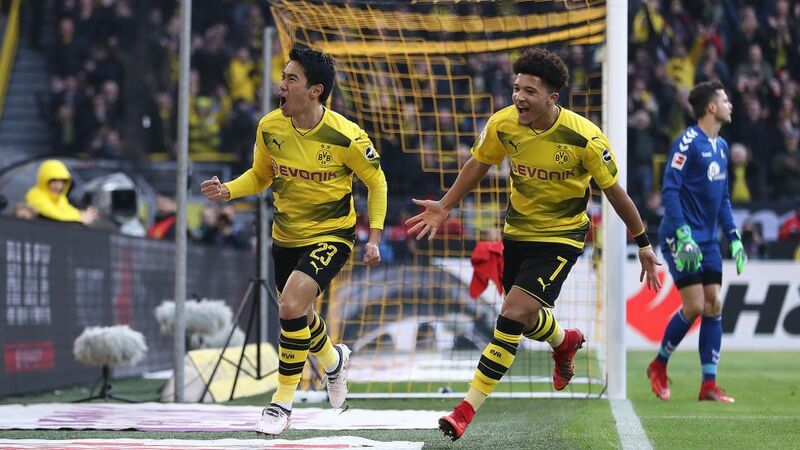 BVB made it three games without a win this year in their 2-2 draw with Freiburg on Saturday, but Japan international Kagawa stood out with another eye-catching performance under new coach Peter Stöger. Since the Austrian took charge in December, Kagawa has started every game and not missed a single minute of action. Considering Dortmund’s breadth of attacking talent, him being ever-present is quite remarkable and underlines the faith the new boss has in a player that was on the fringes under the previous management. In what has been a turbulent season, both for the club and himself, Kagawa has emerged as one of the team’s leaders. Under Stöger’s predecessor Peter Bosz, he struggled to play himself into any kind of form, starting just five of 16 league games and watching three matches as an unused substitute. Kagawa’s recent run in the side has seen his performance levels improve markedly, and this term Japan’s highest-ever Bundesliga goalscorer is second only to Pierre-Emerick Aubameyang in terms of goals scored (five) and assists made (three) combined. His momentum is building – he has now scored twice this year after netting at Hertha Berlin on Matchday 19 – and he looks to have rediscovered his touch of scoring brilliant goals. Saturday’s strike was an acrobatic, side-on volley to follow an outrageous lob in the win at Augsburg on Matchday 7. At 28 and with close to 90 appearances for his country behind him, Kagawa is now an experienced figure in the BVB dressing room and exactly the type of character Stöger will hope to rely on going forward. Sixth-placed Dortmund have a fight on their hands to finish in the UEFA Champions League spots, so expect to see plenty more of their No.23.